Signed in May as a project, Fant has been one of the pleasant surprises of training camp. On Friday, when the Seahawks decided to shake things up on the offensive line, Fant worked for a while as the starting left tackle. 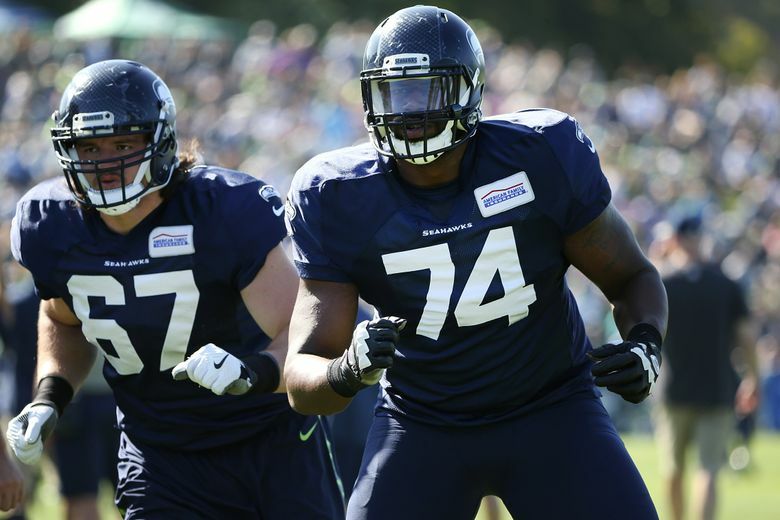 RENTON — For a couple series during Friday’s Seahawks practice, undrafted rookie George Fant worked as the starting left tackle, part of an offensive-line shuffle that had veteran J’Marcus Webb demoted for the day to the second team. It was the culmination of years of preparation for Fant to finally get to the point where he was sharing an NFL huddle with a star such as quarterback Russell Wilson. How often has Fant played in a game as an offensive tackle at any level? Webb, who started primarily at guard last season for the Oakland Raiders, is the Seahawks’ highest-paid offensive lineman. He signed a two-year contract worth $5.75 million, $2.45 million guaranteed. But the Seahawks are unquestionably high on Fant, despite the fact that until a few months ago he had not played offensive line at any level.